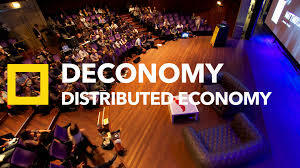 Going to Deconomy? Here are 8 easy things to do to get familiar with Korea and its crypto ecosystem – We help you think smartly about the crypto and blockchain landscape in Asia 5-10 years out. Going to Deconomy in Seoul and don’t know where to go and meet? -Subscribe to a newsletter called ‘Relaynode’. (relaynode.io) It shares the best events going on in Seoul and content that the Korean blockchain ecosystem is paying attention to. -An interview with Korea Tezos team and the former founder of the Korean exchange Korbit on the crypto entrepreneurial and developer community in Korea. -Our founder Joyce Yang’s interview with Laura Shin about the Korea crypto community, and her takeaways from her recent trip in Korea. 3) Note down the following local blockchain community organizers and checkout their events page for evening/social events. Most crypto companies reside in Gangnam area with quite a few in Pangyo and Yeo-uido. In the Gangnam area, most of the WeWork are dubbed CryptoWork as a large chunk of its space is taken by blockchain and crypto companies. From exchanges(Upbit, Bithumb, etc.) to projects or even funds(Hashed) are located in Gangnam. This region used to host many IT companies. Especially games companies in the past until they moved to the Pangyo area. Now those office spaces are being replaced by crypto and blockchain companies. There’s a blockchain cafe near Gangnam area. The name is ‘Decentre’ and the names of coffee drinks on the menu that come from such celebs in the blockchain industry as Satoshi Nakamoto, and Vitalik Buterin. The best seller is Ethiopia Buterin. “There are plenty of activities going on in Korea. It is often dubbed as the speculative market, however, I translate that to “risk takers and early adopters. It is important to see the full picture of Korean blockchain and Crypto markets. From projects springing out from large corporates to Tech savvy start ups. From professional reporters covering daily news on the industry to bloggers and influencers that provide deep inside views in a more casual fashion. 8) Checkout the largest crypto events Korea has every year that people shouldn’t miss? 9) Follow these local blockchain community connectors on Twitter!